The cold-blooded killer of Crystal Lake is on the loose once again, wearing his signature hockey mask. Hunched and holding his blood-soaked machete, Jason lurches over a base decorated with effigies of his most recent teenage victims hidden among gnarled branches. This awesome masterpiece offers an unmasked portrait of the deformed maniac. 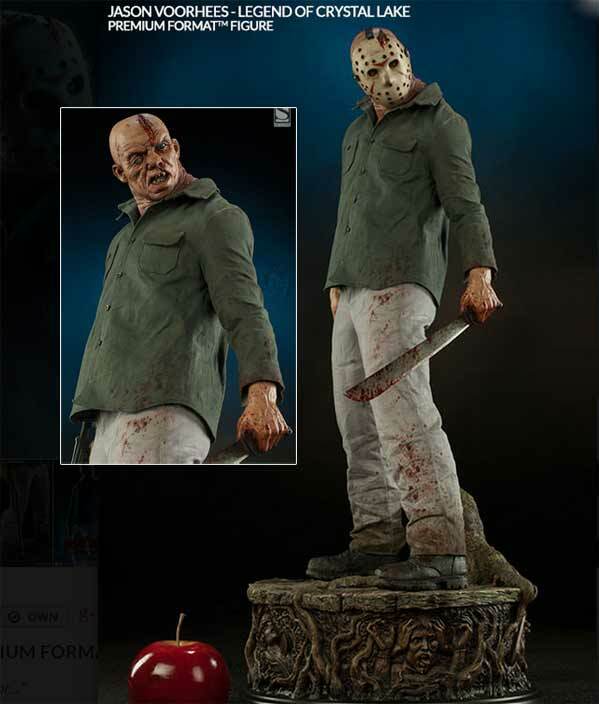 The Jason Voorhees Premium Format Figure is a must-have addition for any horror collection! Coming October 7th is the 13-episode fifth installment of the Emmy and Golden Globe winning franchise, American Horror Story!